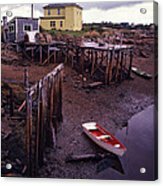 Private Jetty Northern Maine galaxy s8 case by Hal Norman K. Protect your Galaxy S8 with an impact-resistant, slim-profile, hard-shell case. The image is printed directly onto the case and wrapped around the edges for a beautiful presentation. Simply snap the case onto your Galaxy S8 for instant protection and direct access to all of the phone's features! There are no comments for Private Jetty Northern Maine. Click here to post the first comment. Like it's B&W cousin this capture was found driving down a road to the shoreline. 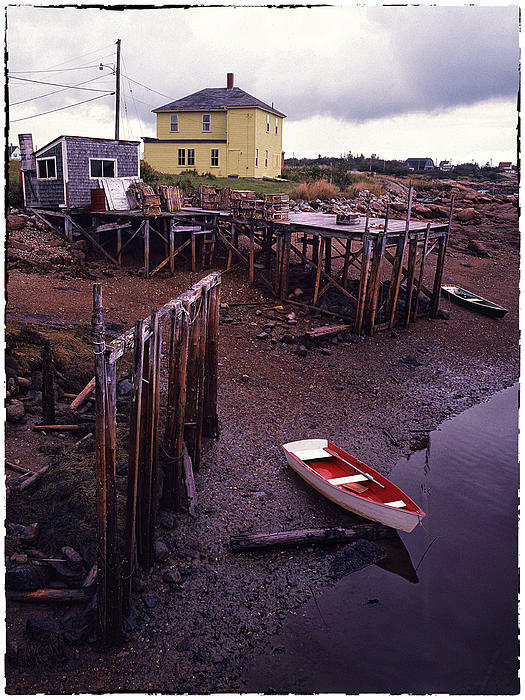 The overcast had a tendency to mute the colors adding to the 'wet' impression and add to the feeling of a dreary day. Also I rarely, with film, capture a scene in both B&W as well as color.